In The Fifth Head of Cerberus, Wolfe skillfully interweaves three bizarre novellas to create a mesmerizing pattern: the harrowing account of the son of a mad genius who discovers his hideous heritage; a young man's mythic dreamquest for his darker half; and the bizarre chronicle of a scientist's nightmarish imprisonment. Like strands in an intricately braided knot, these narratives at last unfold to reveal astonishing truths about a strange and savage alien landscape. 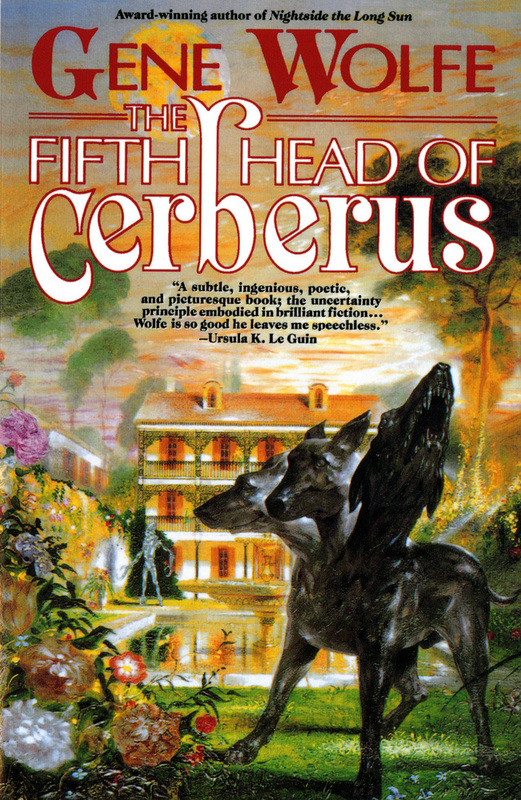 The Fifth Head of Cerberus is "a subtle, ingenious, poetic, and picturesque book; the uncertainty principle embodied in brilliant fiction . . . Wolfe is so good he leaves me speechless" (Ursula K. Le Guin). That eats the she-wolf's young. Samuel Taylor Coleridge—"The Rime of the Ancient Mariner"